The summer is always marred with blockbusters of all sorts — destruction flicks, monster movies, goofy comedies, and of course plenty of superhero chapters to span the warmer months. This summer is of course no different, with the highly anticipated The Avengers: Age of Ultron kicking off the summer season. I for one have enjoyed most of the Marvel chapters (minus Iron Man 3 and The Winter Soldier) and loved The Avengers — that considered, of course I circled this date on my calendar. This next level superhero flick kicks off without wasting a moment, following The Avengers into battle with one impressive, gorgeous opening shot — Joss Whedon (writer/director) really is a master filmmaker who knows how to craft beautiful entertainment — he is the most capable man to carry the Marvel universe. It’s a shame he will not return for the third/fourth chapters, The Avengers: Infinity Wars, which will be split into two films. With all that has happened in recent years within this super universe, Tony Stark (Robert Downey Jr.) and Bruce Banner (Mark Ruffalo) are searching for new ways to protect Earth from superior armed alien invaders. Stark has the idea of creating a legion of metal warriors to act as sentries for the planet, but he hasn’t figured out a way to bring that idea fully to life. An opportunity comes to pass when the duo discovers artificial intelligence, or Ultron as he’s called. Ultron soon becomes self aware, hacks his way into The Avengers system, the Internet, and is convinced that human kind needs to evolve past flesh and bone. With Ultron almost infinitely powerful in the digital world, he builds up his own army of mechanized warriors, constructs himself a powerful suit of armor for his consciousness and plans out how to rid the world of homo sapiens. James Spader voicing Ultron is perfection — he thoroughly embodies the cunning and ruthless A.I. foe. With a huge cast of characters, and even adding two new players, Quicksilver (Aaron Johnson) and The Scarlet Witch (Elizabeth Olsen), it can be difficult for any filmmaker to give all the characters appropriate screen time. Again, Whedon finds a way to weave all the separate, massive egos into one comprehensive narrative, one that breathes new life into many of these characters. The film also does the necessary job of setting up future conflicts, something that will bode well for Marvel at the box office in coming years. While the film isn’t without flaws, there is just too much great content flooding the duration. The comedic punches fall flat from time to time, the action can drag in long spurts, but the film rarely fails to entertain in one way or another. My favorite part was definitely a battle between two of the good guys, The Hulk versus Iron Man. Tony Stark invents a special “Hulk Buster” suit for such an occasion when The Hulk gets out of control and someone needs to keep him contained — their violent battle was one of the best highlights of any Marvel film. 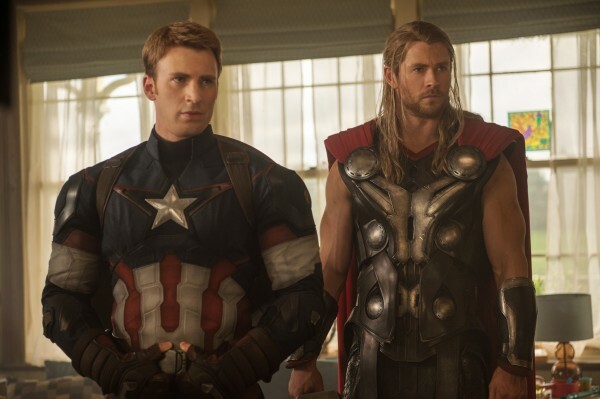 Overall, The Avengers: Age of Ultron has everything die-hard fans and casual viewers will love — it has a cast of likable characters banding together again versus another worthy adversary, plenty of laughs and more than enough exhilarating action. It’s great to see Whedon keep his impeccable track record in tact and so much fun to see these characters all on screen together once again. Even though you will be bombarded with flashy advertising campaigns and your friends’ social media posts in adoration of the movie, this really is a perfect example of a film delivering on fans’ already high expectations. When people say this is a perfect summer flick, believe the hype.